Don't worry. Modern detergents do well in cold or hot water. You can most likely use your regular detergent in cold water without any other changes to your routine. If you like, you might dissolve your detergent in hot water first, then fill the washing machine the rest of the way with cold water. Another option is a cold water detergent, such as Tide Coldwater. Cold water detergents are designed to dissolve at a lower temperature than traditional detergents. Notably, Consumer Reports rated both Tide Coldwater and regular Tide as "excellent". But...You wonder how much good it will really do. It may seem small, but it will help save the earth. 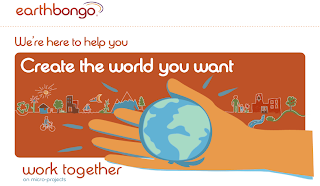 Earthbongo says that by washing just one load of laundry per week on cold, you can save up to 16,240 lbs in carbon emissions per kWH. (Read my post about offsetting your carbon footprint for free!) Second, it will save you some money. Using a washing machine on cold costs less than one fourth what it costs to use hot water. You could save approximately $10 to $44 in one year. So join in! It's as easy as turning that knob on the washing machine. I know I have found my regular clothes to be just as clean. Join me in the Cold Challenge!